Stay inspired, In heart of London. 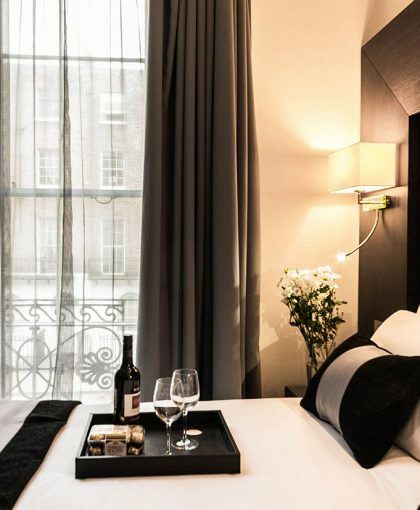 A Georgian townhouse hotel located in the heart of central London. Just a stone’s throw away from Regent’s Park and Baker Street, a vibrant west London enclave which depicts exclusivity . 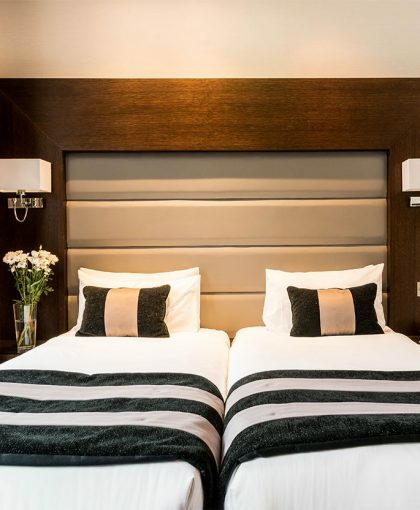 Within close proximity to London’s most eclectic addresses including Oxford Circus, Bond Street and Piccadilly Circus , Marylebone is the perfect location for travellers to the city. Made famous as Sherlock Holmes fictional residence and wistful by Gerry Rafferty’s hit single of the same name, Baker Street has long since delighted Londoners and visitors alike. Despite its baking related title, its not a penchant for pastries that inspired its name, rather the chap who laid the street out in the 18th century- William Baker. Fascinating facts aside, Baker Street provides a pretty perfect base from which to explore London, thanks to its achingly convenient location. Stay connected during your entire stay at Park Avenue Baker street with complimentary WiFi throughout the hotel and external areas. All of our rooms have digital safety deposit boxes where you can store your valuables whilst staying with us. Secured electronic access to the rooms and relevant wings to ensure the safety and peace of mind of our valued guests. Receive perks & additional discount by booking directly on our website! Upto 5% additional discount available when staying for 3 nights or more. Enjoy these additional discount perks to help you plan your stay that little bit longer, after all we all can do with extra day or two. These reservations are charged in full at the time of booking and are non-refundable. 10% Discount available on all advance purchase bookings. Have your dates confirmed? Utilise this discounted offer to save that extra buck. These reservations are charged in full at the time of booking and are non-refundable. for guests staying at The Park Avenue Baker Street. Keeping you connected to your world with local & international calls to selected countries and internet access with 3G free of charge. Park Avenue Baker Street takes an elegant shape, inside a beautiful Georgian townhouse, which is situated just a short stroll from both Baker Street and Marylebone tube stations. Start your days under the glass roof of the breakfast room before heading into Regent’s Park, indulging in retail therapy on Oxford Street, or visiting the wax-work residents of Madame Tussauds nearby. With ample connections to the rest of London, you’re within easy reach of the city’s best shops, Museums, Landmarks, Art galleries, theatres and restaurants. Our aim is to make you feel at home and provide you with an efficient 4-Star hotel service in contemporary surroundings. 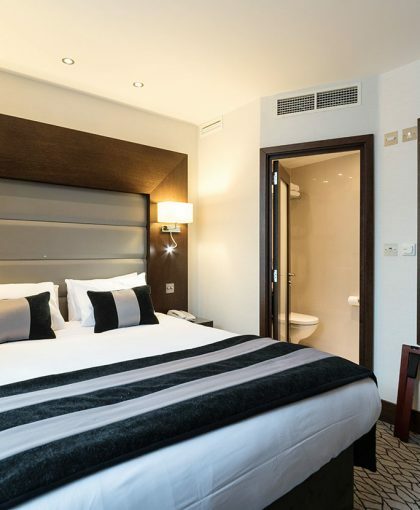 We seek to offer you a relaxing base with all possible luxuries during your visit to London, whether you are travelling for business or pleasure. Our mission is to create a positive guest experience that will resonate before, during and after your stay, and this is reflected in our countless glowing reviews. Our desire to stand out amongst the rest has resulted in accolades listing us as ‘Excellent’, ‘Top Rated’ and ‘Recommended’ year on year. 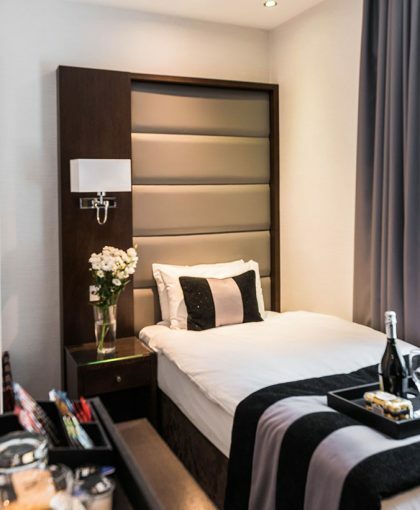 Many of our previous guests have remained loyal and return to us each time they visit London, we believe this is a testament to our quality accommodation and inviting loyalty programme.